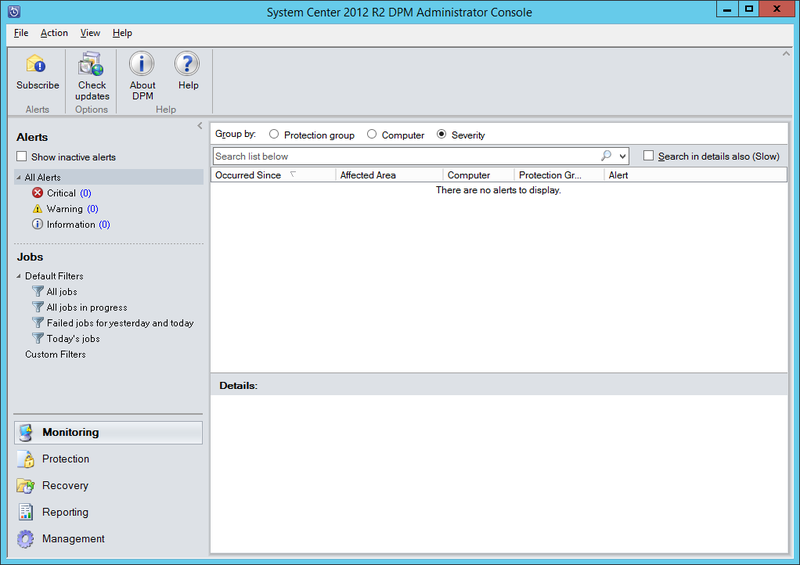 As per a reader’s request, here is an updated guide for installing SCDPM 2012 R2. 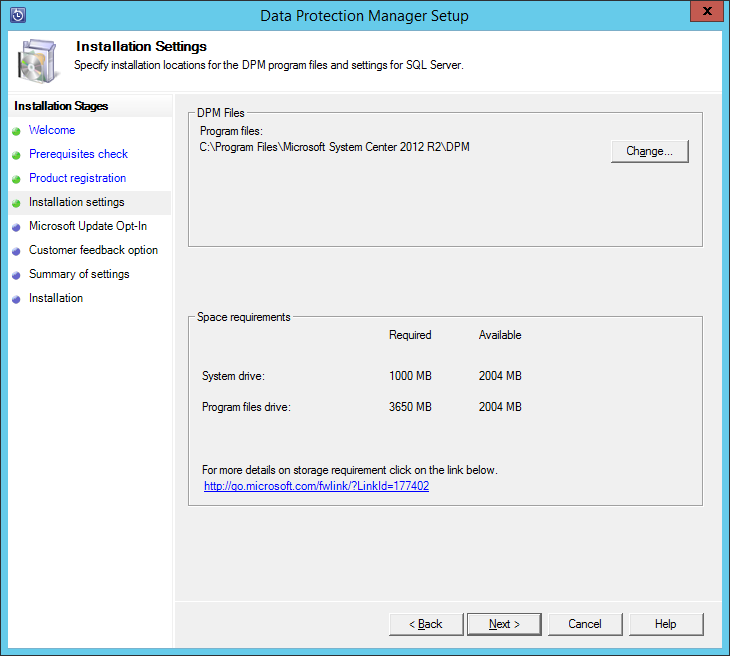 To start, before we will actually be able to install SCDPM, we have to install a few prerequisites. 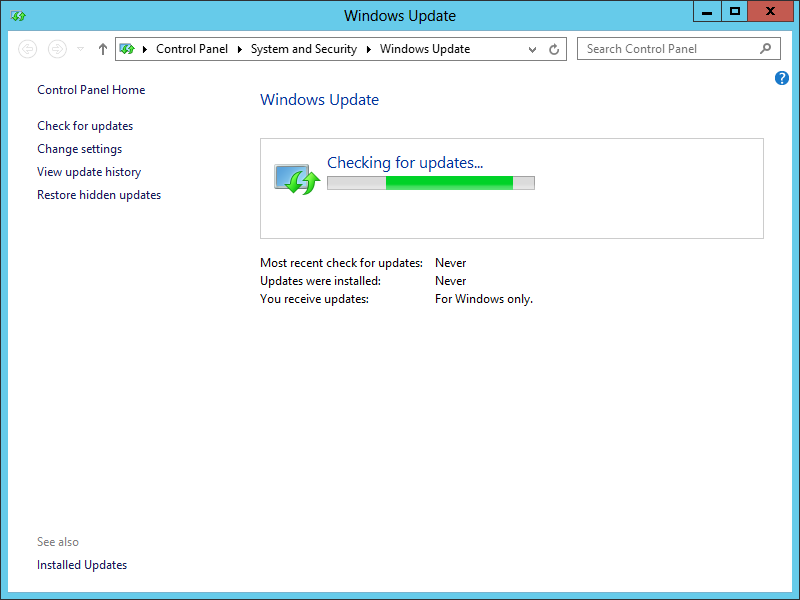 IMPORTANT: This guide assumes that you have already installed SQL Server, and the DPM Support Files, as per the following TechNet article: http://technet.microsoft.com/en-us/library/dn581867.aspx. 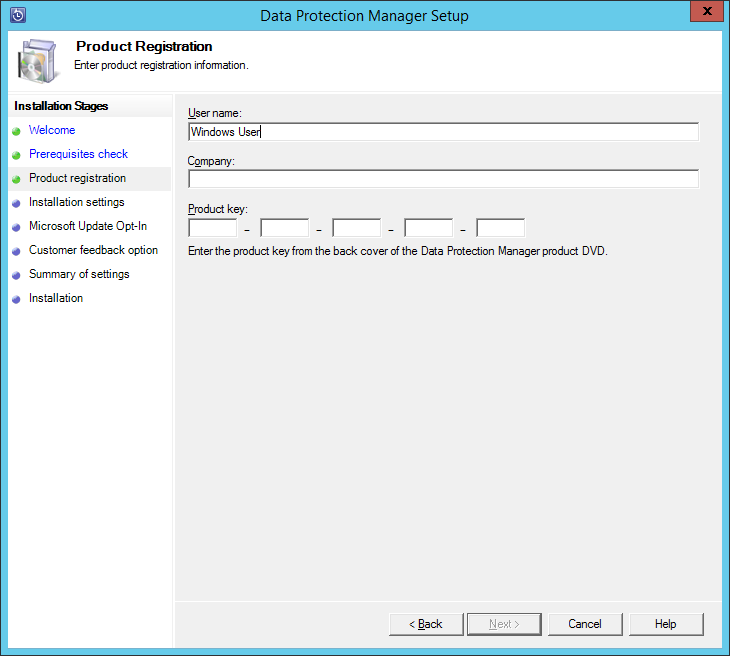 Start by either extracting the DVD contents, or mounting the ISO (the TechNet ISO is currently labelled as mu_system_center_2012_r2_data_protection_manager_x86_and_x64_dvd_2945939.iso). Start by running the Setup.exe. 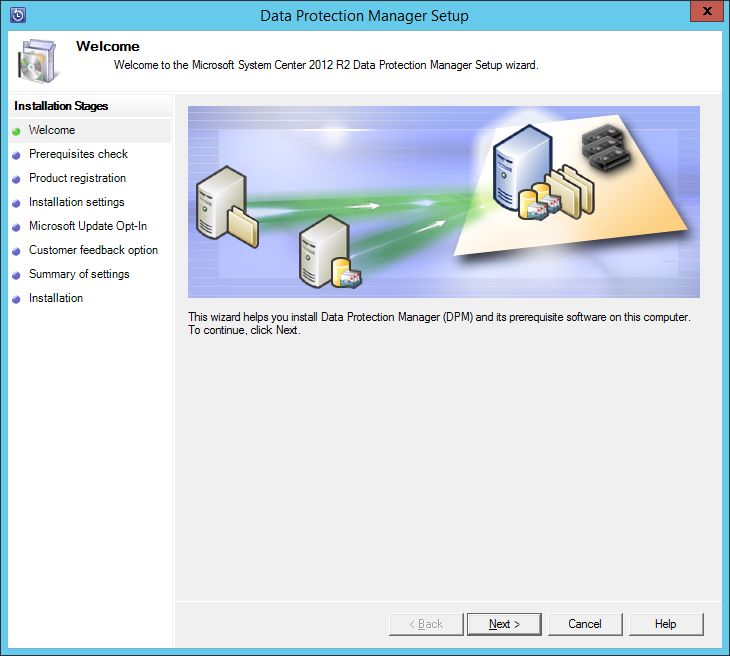 On the splash screen click the Data Protection manager link. 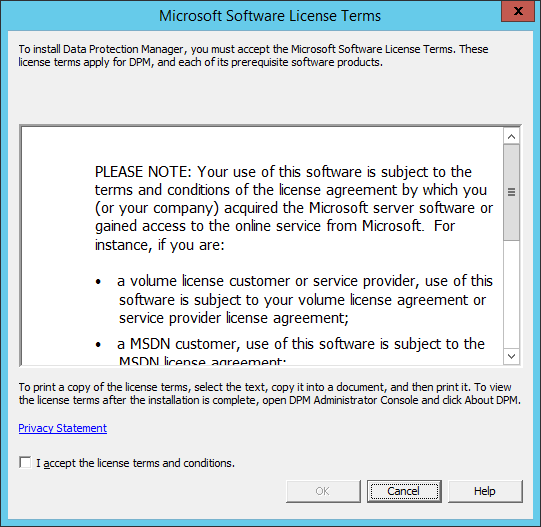 Read and agree to the License Terms, and then click OK.
Data Protection Manager will prepare to install. 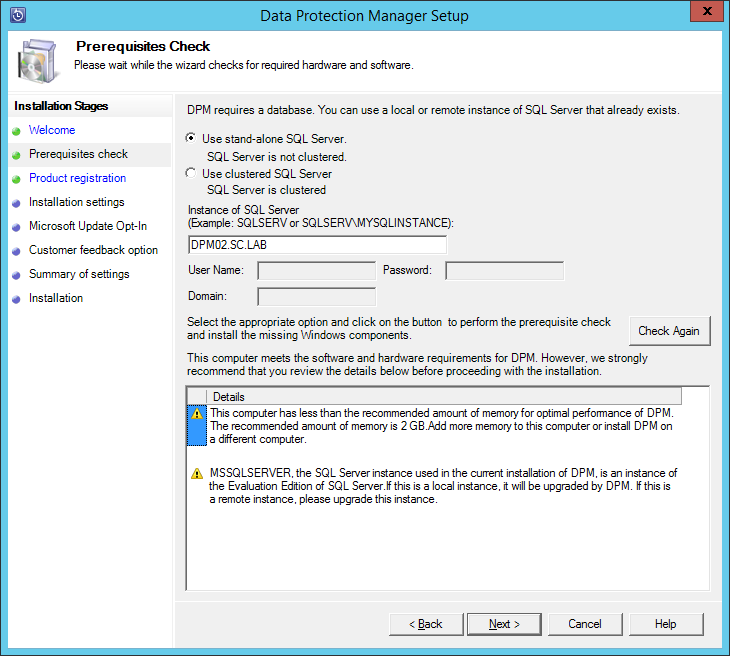 On the Prerequisites Check page, choose what type of database DPM will use; either a stand-alone SQL Server, or a Clustered SQL Server. Also provide the SQL Server name and instance. 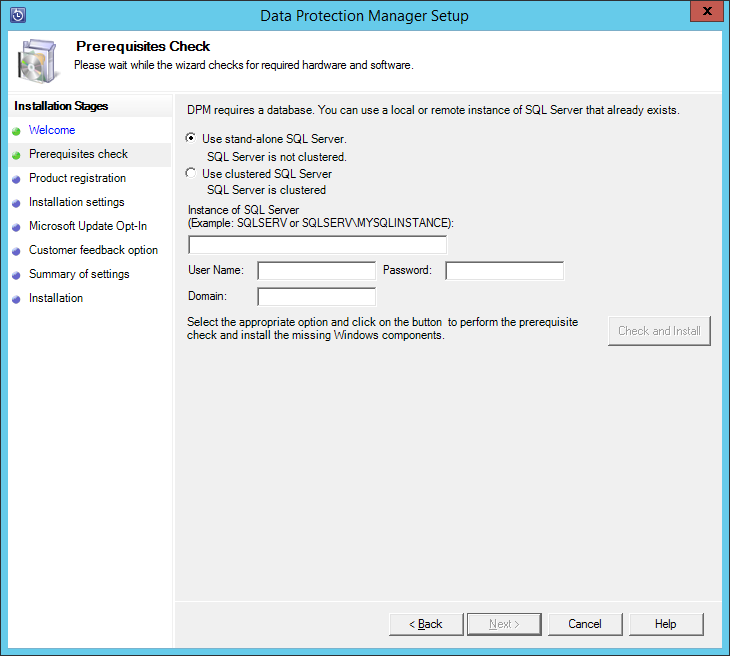 Since I am doing this in my lab, I will choose the ‘Use stand-alone SQL Server’ option. On the Product Registration page, enter a User Name, Company, and a Product Key, then click Next. Unfortunately, I am not aware of any way to install an evaluation version of the application, although all other System Center products provide this option. The installation will begin, and will take a while to complete. 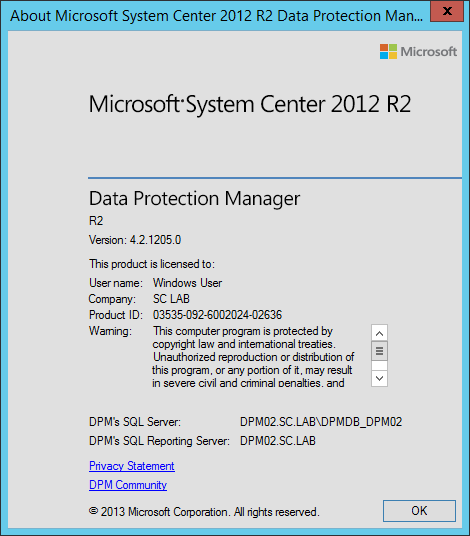 Now you can launch the Data Protection Manager console. If you ever are unsure of the SQL Server that hosts the DPM database, or the SQL Reporting used, you can look at the “About DPM” dialog. 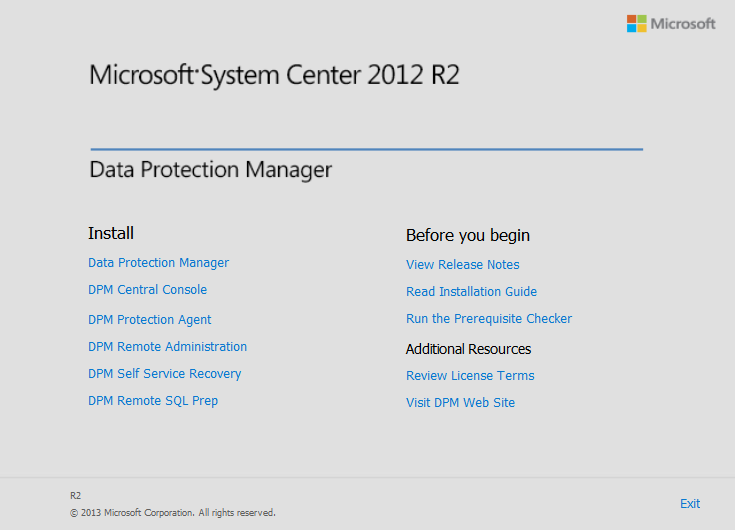 And that’s the installation of System Center 2012 R2 Data Protection Manager. 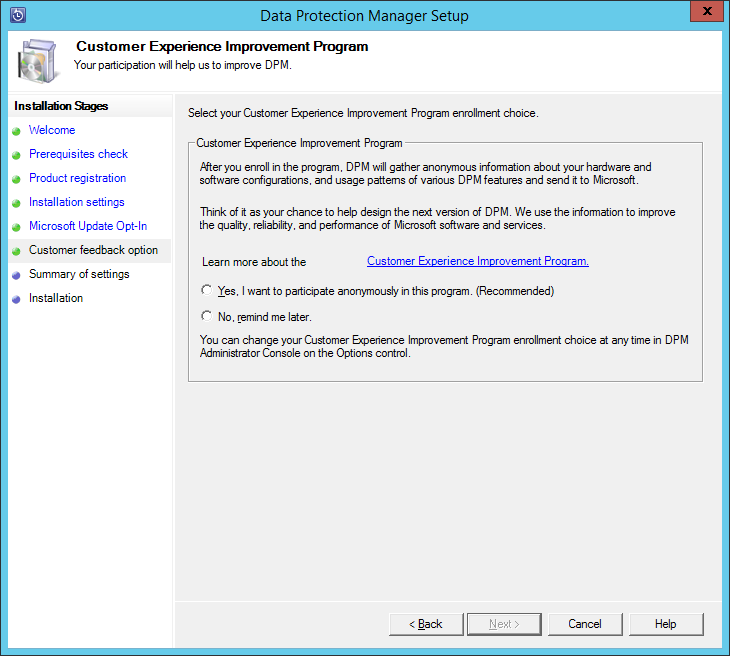 If you compare it with my installation guide on System Center 2012 SP1 Data Protection Manager, you will see that there are some differences.